An example of this is Heart of the Witch. I based the continent of Argessa on Australia; there is coastal rainforest, a mountain range, and then a large desert in the heart of the continent. The closest I have come to rainforests comes from travel to tropical parts of Mexico, Hawaii, and walking through swampland and forests in Florida. The only mountains I’ve been on include northern Arizona, California, Nevada, and also the Alps in Switzerland. I can count the number of times I’ve been in the snow on my fingers, and yet I set much of Journey to Landaran in an alpine setting in the dead of winter, with snow everywhere. Yes, I had to confer with beta readers who were more used to wintry weather to check my facts. But I can tell that that coming from a hot desert, I know what it’s like to get cold, because I get cold easily! For me, I’m fascinated by that which is new and different to me. I’ve always had a love of forests–my grandmother had a cabin at Silver Lake in northern California, and I absolutely loved the place even though there was no electricity. Or toilets. (We did have a sink, which drew water directly from the lake.) I was also an exchange student in Germany, and lived for a summer in a tiny village in the middle of the Black Forest. I think that’s why these kinds of settings are so much richer and more interesting to me. I can write about deserts, sure. I’ve lived in one my entire life. But I do love variety. And what better excuse to travel than for research? I’ve visited San Francisco enough times that I feel pretty confident writing about it. When I dreamt up a story about Mayan ruins, I researched them, and I was finally able to visit a Mayan ruin a few years back. Oh, and today’s featured image? That’s a picture I took from a helicopter tour of Maui. Now I know what a Hurricane feels like! Okay it was actually a microburst during a monsoon. 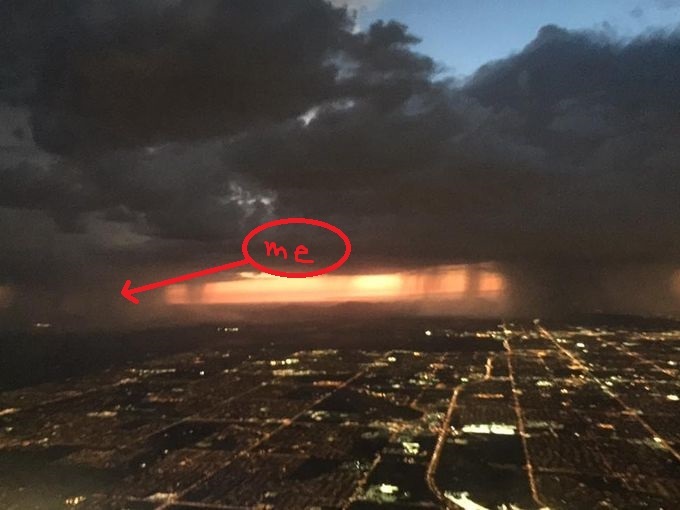 In Arizona, you can sometimes get a tiny localized torrential downpour and near-hurricane force winds during our thunderstorms that blow in first with a dust storm, then a downpour and lightning, and then just as quickly are gone. This means wind speeds of about 70 miles an hour, and I really do mean torrential rain–I think we got an inch in a half hour. 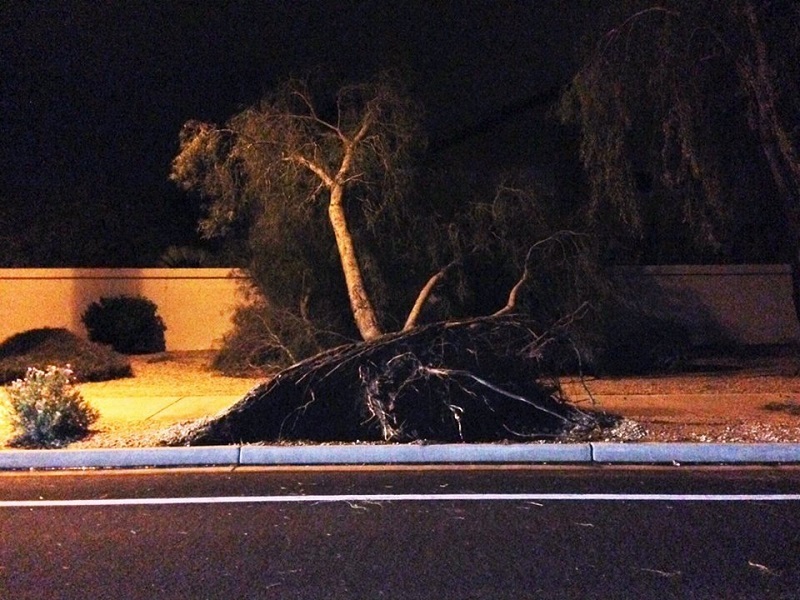 A microburst only hits a tiny area–maybe a mile radius. 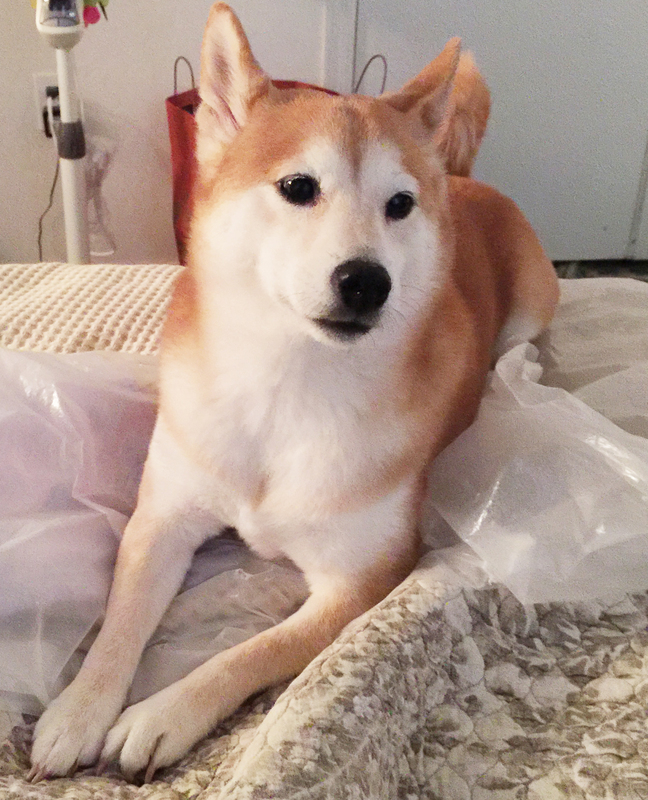 It hit our neighborhood–the noise was so loud, I thought it was hailing, but instead it was raining–sideways, because the wind was so strong. 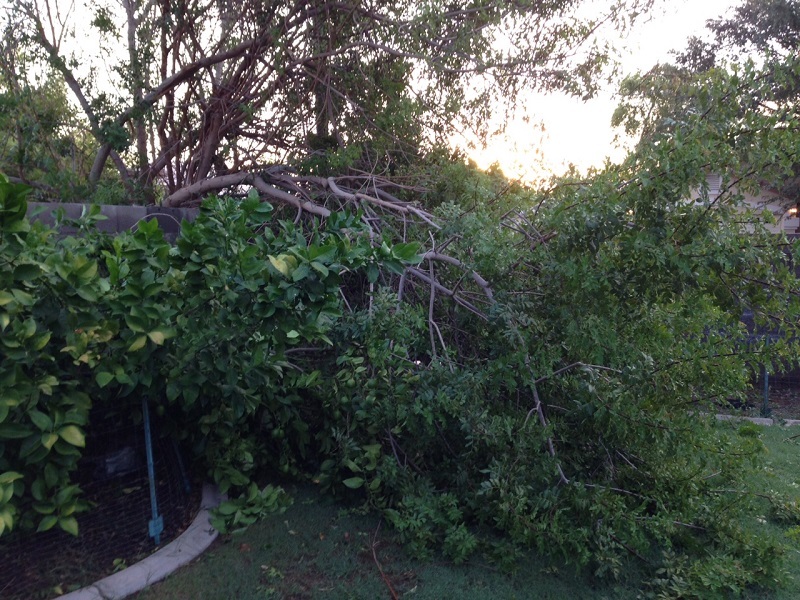 Afterwards, my neighbor’s tree was in my yard, my two large garbage canisters had been tossed down my side yard and broken, the ceiling fan on my back porch was mangled and broken, my barbeque had been shoved against my AC unit, and anything that wasn’t nailed down was against the side wall. 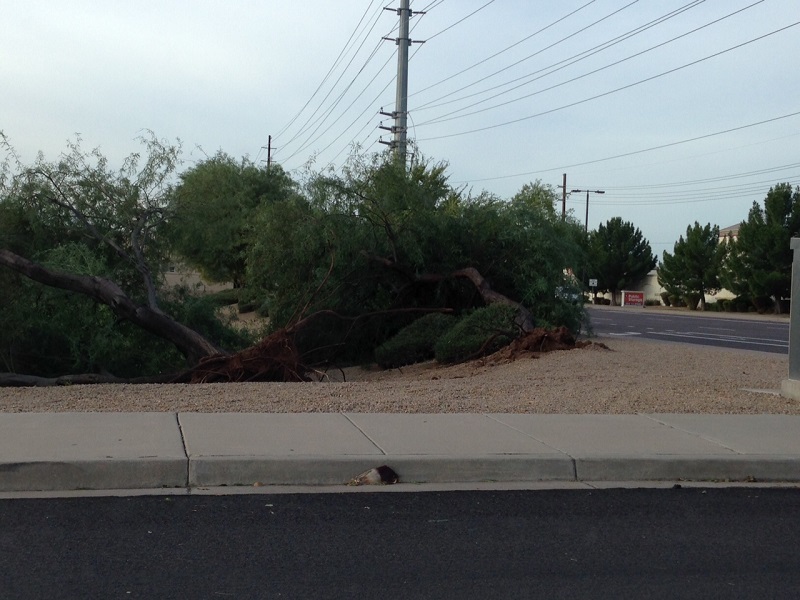 Along my street, about two dozen trees were uprooted and torn out of the ground. 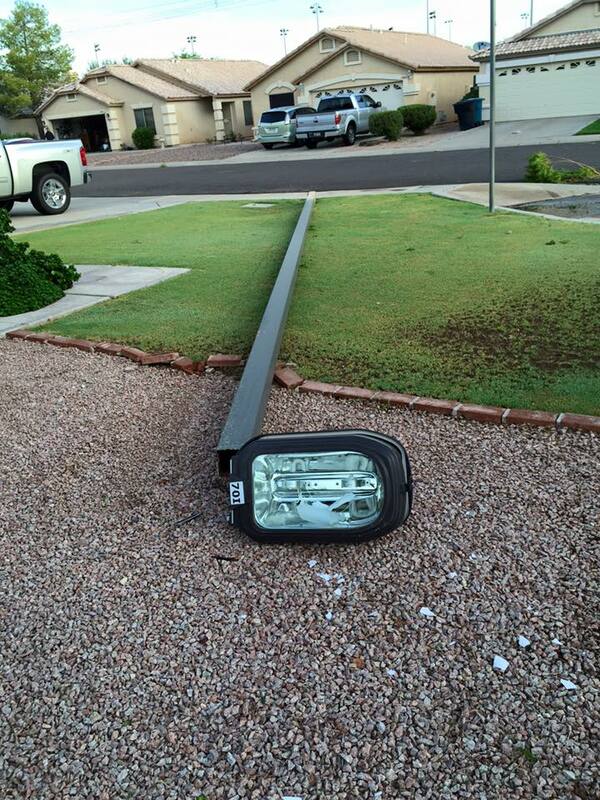 A street light was blown over in another neighbor’s yard. 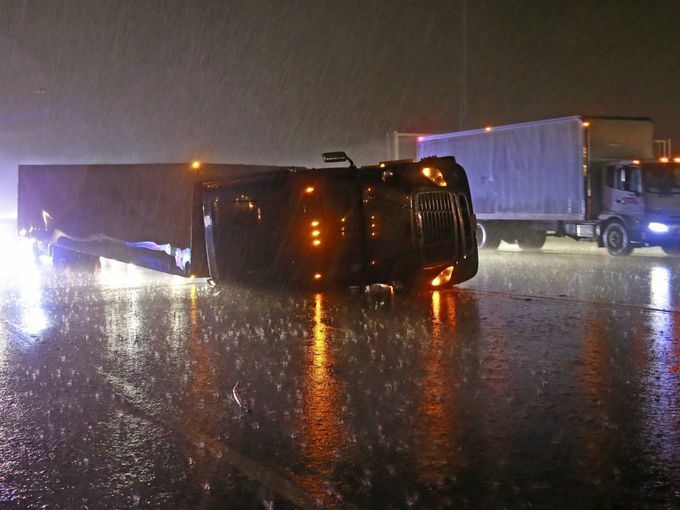 Across town where another microburst hit, a semi-truck was blown onto its side onto a car on the freeway. This is about the closest we come to a tornado here. I went for a drive to check my parent’s house which is in the next block over, since they were out of town. No damage over there whatsoever–looked like all they got was a bit of rain. ARRGH!! Amazon messed up my Countdown Sale! I apologize to everyone who received notice today of my fantasy novel, Heart of the Witch, which is SUPPOSED to be up for sale on Amazon for only $0.99 today through August 17. Amazon stupidly messed up and deleted the promotion. I have re-uploaded the request, and the book will be on sale from August 14 through 17 for the Countdown special price of 99 cents. Like a cannonball bursting out of a cannon, the magic surged beneath Zerrick and spat him out of the ground, sending him flying into a bed of palms. He landed hard, but safe, feeling numb all over. From behind him, a shriek pierced the air, and with a groan, he rolled over and managed to lift his head above the palm leaves to see the earth dance and churn around Madame Lotus. Plants reared up to twist around her arms and legs, pulling her to the earth, as she began sinking even as Zerrick had. It didn’t stop at her waist, but pulled her in deeper and deeper, leaves flying around in a whirlwind around her head, lightning crackling through the ground and up along the twisted vines. She fought with all her might, clawing at the vines and thrashing to escape the earth’s hold, but it was useless, and in her eyes Zerrick could see she knew it. She glanced once in his direction, her brown eyes lucid and filled with utter horror at her predicament. The vines pulled her down by her arms, until there was just her head above ground. Then, with a loud crash of thunder and a horrible rumbling deep within the soil, the ground swallowed her up. The storm and wind ceased so suddenly, Zerrick thought he had lost his hearing. The leaves, no longer held up by the magical wind, settled on the overturned earth, and slowly the sounds of the jungle resumed. Zerrick lay crouched in the palms, breathing hard with the shock of what he had just witnessed, every nerve tingling. His head ached as he raised himself on one knee, looking to see if Murtis had escaped the backlash of power, or if the noise had attracted others. Murtis was still sitting on his log, his face white with astonishment, his mouth hanging open. Seeing the look of horror on the other witch’s face, Zerrick realized just what he had done. I thought this was an okay book, but the ending didn’t really satisfy me. 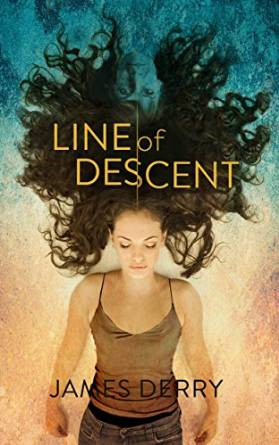 I think it was because the book was labeled as a “fantasy” novel when it was delivered to me; I see now that on Amazon the main category is now horror/occult. If I had approached this novel as a horror, I think I would have been better prepared. The book was well written and the plot drew me along. I think it was an interesting premise: an ancient (and possibly alien) intelligence has been replicating itself through a single bloodline, being passed down from generation to generation and gaining power all the while. There are a lot of dreams in the book and even the waking moments have a dreamlike quality to them, giving the entire book a sort of surreal feel to it. Something about the style of writing put distance between me and the characters, but I couldn’t point to exactly what. I think one of the best scenes was Elise teaching Mallory sign language via the pipes in separate bathrooms. If you like Kurt Vonnegut type stories, or films like “Pan’s Labyrinth,” you’ll probably enjoy this book.